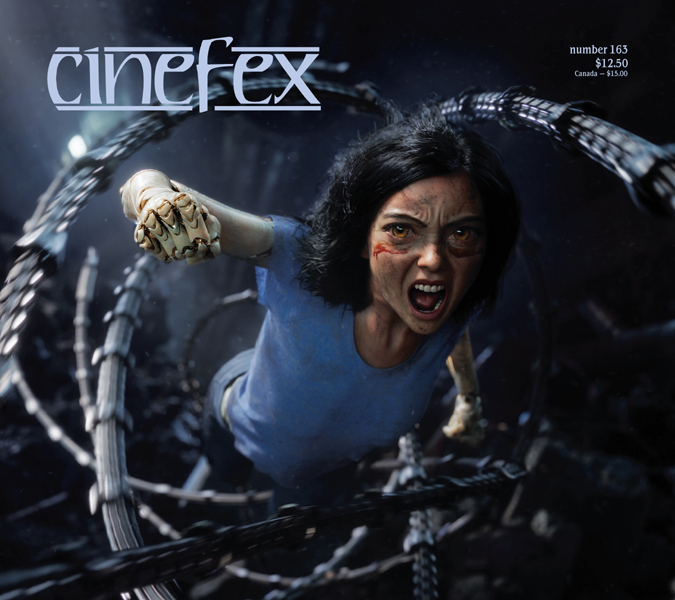 I write for Cinefex, a bimonthly magazine devoted to motion picture visual effects. In 2016, one of the many films I covered was Star Trek Beyond. Want to know how I tackled it? I’ll tell you. First up, a few facts and figures. My Star Trek Beyond article was 8,300 words long – about average for the magazine. With photos, that equated to 21 printed pages. While researching the story I interviewed 13 people, generating roughly 45,000 words of interview transcript. From first interview to final reviewed draft, it took me five weeks to put the article together. In any one year, I’ll write a minimum of nine stories of similar scope. Enough with the numbers. The job is all about the words, right? Quite a lot of them, as you’ll already have gathered. I wrote my Star Trek Beyond story using my weapon of choice: Scrivener. I use this software for two reasons. First, during the research phase I’ll end up accruing about a zillion bits of information; Scrivener lets me keep everything organised within a single project window – transcripts, background notes, multiple manuscript drafts, handy image files, you name it. Second, the software lets me work on small sections of a draft as individual text files, but by switching views I can string those files together as a single manuscript. Given all the disparate chunks of information I’m wrangling at any one time, that’s really useful. The Star Trek Beyond article started its life as an empty ‘Cinefex’ template, as shown in the image below. I’ve developed this format over time – it has a simple folder structure filled with all the basic placeholder documents that I know I’m going to need. All my Cinefex articles start with this blank Scrivener template. The ‘Title’ folder is my basic draft manuscript and contains just three files: ‘Introduction;’ an empty text template called ‘One;’ and ‘Conclusion.’ I use the ‘Special Thanks’ file to record the names of people who’ll get a credit at the end of the story, and I use ‘Titles’ to jot down possible titles for the article (this list grows as I write, and I rarely decide upon the actual title until I’ve finished). Below all these sit the ‘Transcripts’ and ‘Research’ folders. The former is a repository for all the interview material; the latter stores, well, everything else. As always, the real work on my Star Trek Beyond story began with the interviews. Once I’d secured permission from the film studio, I spoke to everybody on my list, transcribed the interviews as a separate text documents, and pasted each one into my ‘Transcripts’ folder. In a perfect world, I’d get all my interviews done first before starting to write. It almost never happens that way – something inevitably jams up the works. With Star Trek Beyond, I began to write the article when my ‘Transcripts’ folder was about half full. From there, I bounced on to other related topics – the space station’s superstructure, its atmosphere, the aliens that live in it. Each topic got its own document – based on my empty ‘One’ text template – but I didn’t yet start worrying about how they connected together. For now, I just treated them as free-floating index cards. When it became clear that Yorktown was a major topic in its own right, I created a folder called (you guessed it) ‘Yorktown’ and put all those individual documents inside it. As time went on, I added other topic folders, such as ‘Enterprise Takedown’ and ‘Altimid,’ and rapidly filled those up too. Soon I had lots of folders on the go and was bouncing between them constantly, endlessly revising what I’d already written, adding new material, reordering text files by sliding them around in the Binder, constantly updating. 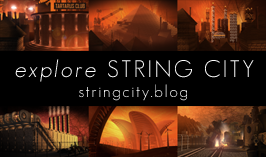 As the article grew, a structure slowly began to emerge. As we frequently do at Cinefex, I allowed the main body of my account to follow the narrative of the film, but for various reasons I chose to write a early standalone section about the film’s newly-built USS Enterprise. I also made inroads into framing material like the introduction, a short synopsis of the film, and some notes on the overall production and the way the visual effects team operated. Since I was lucky enough to speak with the film’s director, Justin Lin, I devoted an early section of the article to his comments. Justin also gave me some great closing remarks, which I combined with some insights from visual effects producer Ron Ames to help create my conclusion. Locking down the structure enabled me to smooth out the joins between all those individual text files. Sometimes that was easy, but often I had to rework paragraphs or write new linking sections to join the dots. By this point, I was mostly working on the manuscript as a whole, rather than treating it as an assembly of separate files (Scrivener lets you switch seamlessly between the two ways of working). Working at the macro scale shone a spotlight on all the areas where I’d repeated myself, or waffled on too long about this, or given short shrift to that. So all that needed fixing too. The final Scrivener document for my “Star Trek Beyond” article. When I was happy with my final draft I used Scrivener’s ‘Compile’ function to export the manuscript ready for final editing in Word – the usual rounds of nipping, tucking and general tinkering. It’s weird, but documents always read differently in Word. Don’t ask me why. My final copy edit marked the end of all the heavy lifting, although it was far from the end of the process. Cinefex editor Jody Duncan did her own pass over the manuscript and a separate review stage made sure all the facts were correct. After that came proofreading, typesetting and more proofreading. When I was deep into my next assignment, I received a set of all the images chosen to illustrate my Star Trek Beyond story, at which point I set about writing captions for both the print and iPad editions of the magazine. Only when that task was done could I finally wipe Star Trek Beyond off my ‘to-do’ list. Every article I write for Cinefex is different, but I tackle them all in a similar way. The key to building big articles from a plethora of research is to keep all your raw material within easy reach, and to give the story room to breathe and grow organically at its own pace. Above all, never assume that you know what the story is when you first set out to write. The story will reveal itself to you when it’s good and ready. It’s all about trust. You can read my Star Trek Beyond article in Cinefex 148, available to order online at the Cinefex website. And you can download Scrivener for either Mac, Windows or iOS from the Literature and Latte website. If you’re feeling really bold, do both.